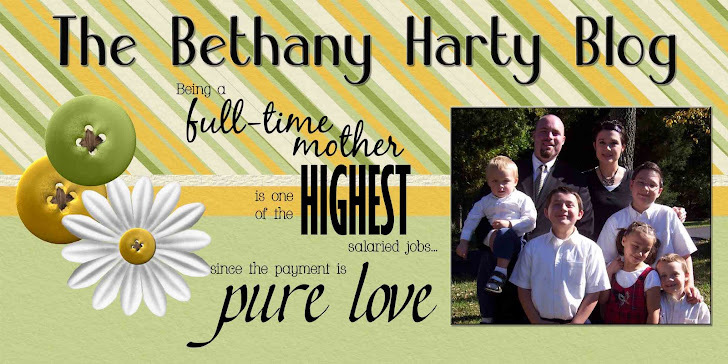 The Bethany Harty Blog: Way Too Much Fun! Jimmy is so sweet. 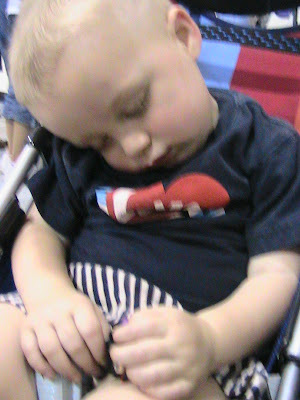 He fell asleep admits all of the craziness of the elementary school gym. It was so loud, I don't know how he managed it. Not that I'm complaining! 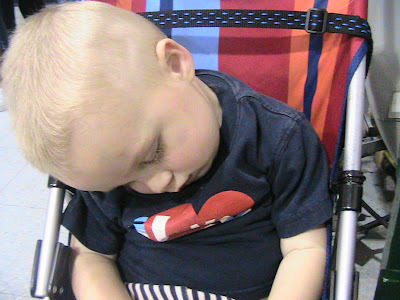 It was much easier to have him sleeping. He woke up about 15 minutes before we left and was sad. That wasn't so fun. But on the whole, it was a great activity! Isn't he precious in these pictures! 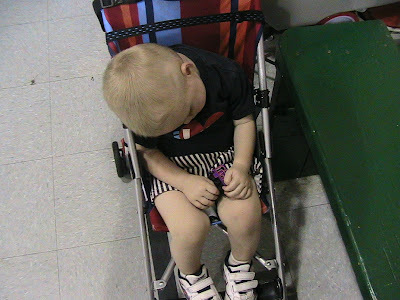 I don't know how he possible fell asleep. It was SO LOUD in there. I guess when you're tired, you'll sleep anywhere!